A North Devon hairdresser based in Braunton has issued a plea for car drivers to slow down, and show more courtesy to horse riders on the road. Sue Johnson, 41 has suffered several incidents involving inconsiderate motorists whilst out riding her horse, and feels now that the issue must be highlighted. Sue, who was based at Chivenor Riding Stables said: “It’s people driving too fast and being impatient, just a general lack of consideration really. It’s a regular occurrence to have abuse shouted at you and finger gestures. 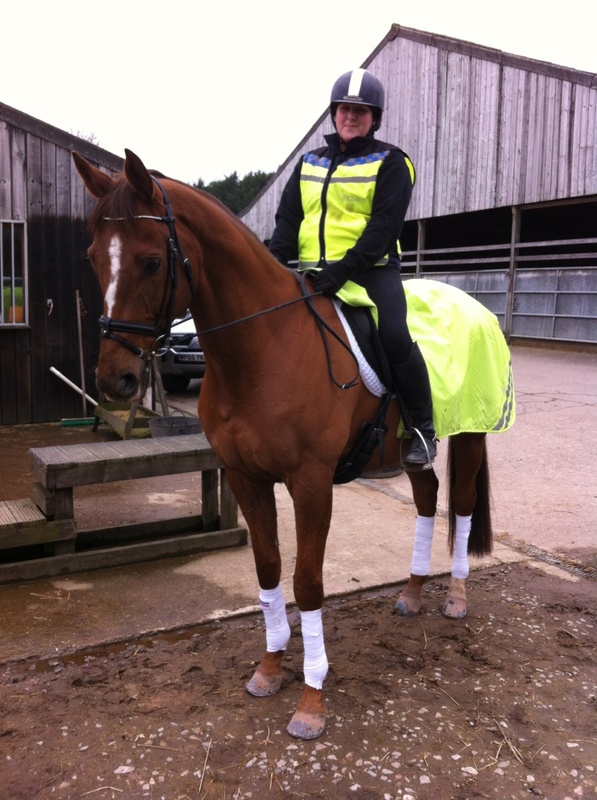 Despite wearing hi-vis vests and hat covers and using appropriate hand signals asking motorists to slow down, she indicated that incidents of near misses and horses being dangerously frightened on our country roads remains. Tasha Clarke, 21 from Kentisbury, also complained about car drivers swearing at her and shouting abuse. She also said that an ambulance had driven past her on a quiet country road with blue lights and sirens in operation, which could have easily spooked the horse. Horses and their riders are part and parcel of life in here the Westcountry, and the issue is set to become worse as more and more cars appear on our already seasonally congested roads. Previous Previous post: Hello America!